When you think of the most iconic horror villains of all time, there’s a short list of names that immediately comes to mind. Slashers like Michael Myers, Jason Voorhees, and Freddy Krueger often top the list followed by names like Norman Bates and Hannibal Lecter. It’s interesting how often that the Xenomorph from Ridley Scott’s 1979 science fiction/horror opus, Alien, is ignored. Over the span of four decades, H.R. Giger’s creation has terrorized viewers worldwide. 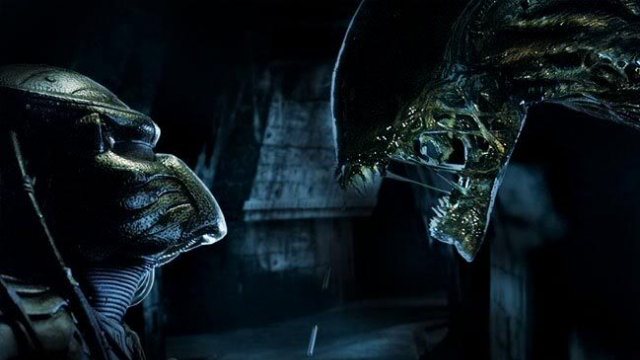 Thus far, there have been three sequels to Alien as well as two spin-offs featuring wars with another legendary character, the Predator, and a prequel set in the same universe. On May 19th, a new installment will be welcomed into the series. That’s right, the Xenomorph is back after a ten year absence in the upcoming sequel to Prometheus/prequel to the original film, Alien: Covenant. Therefore, it’s time to revisit and rank every film in the franchise in this installment of Best & Worst! Just read that title. 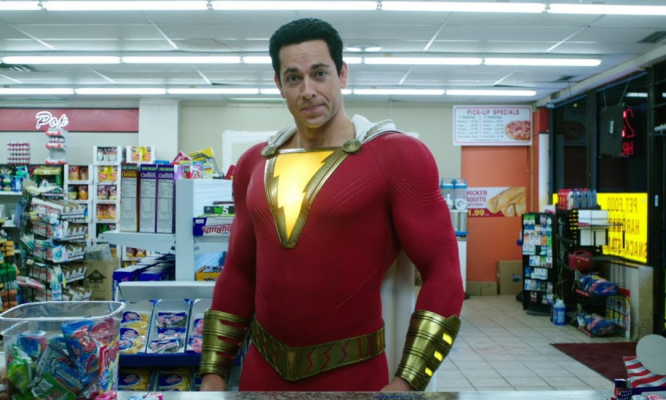 Did anyone think that this film was going to be good from the very second that it was announced? Even though it’s the lowest grossing Alien film domestically, that didn’t stop it from raking in nearly $129 million worldwide. On the flip side, its production budget was only about $40 million. Just… wow. Following the events of the first AVP film, the Predator ship carrying the chestburster who inherits characteristics of a Predator is overrun by aliens and crash lands outside of a small town in Colorado. From here, facehuggers attach to some humans and quickly begin to multiply. Leading the charge is the Predalien. 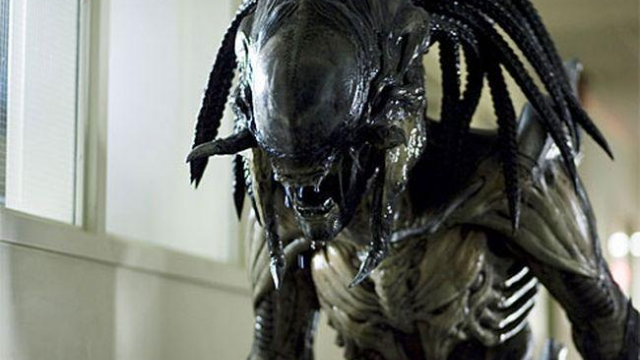 Yes, an alien that basically has an outer Predator mouth and “hair.” Not sure why the filmmakers didn’t go with Aliator or Predien instead. Either way, any name they could’ve come up with would’ve been stupid. Regardless, there isn’t a lot to say about the plot of the film. There really isn’t much of one in general. The Predalien and the lone, surviving Predator wreak havoc on the town in an attempt to destroy one another. The characters are garbage and none of them have much to do with the story in the first place. Also, the fight scenes between the monsters are horribly lit and it’s hard to see much of anything. 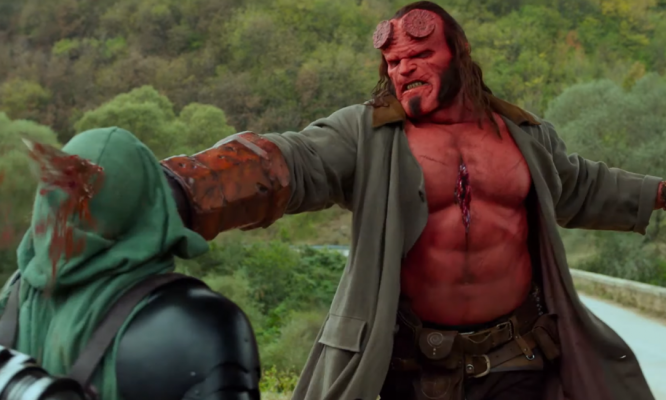 In a film that’s set on showing two titans of action/sci-fi/horror battle one another, they sure don’t let you enjoy any of it. Simply put, this film should never have been made. This one may be a shock to some especially since Alien: Resurrection has some decent reviews. Of the original series, though, this film isn’t like any of the others. 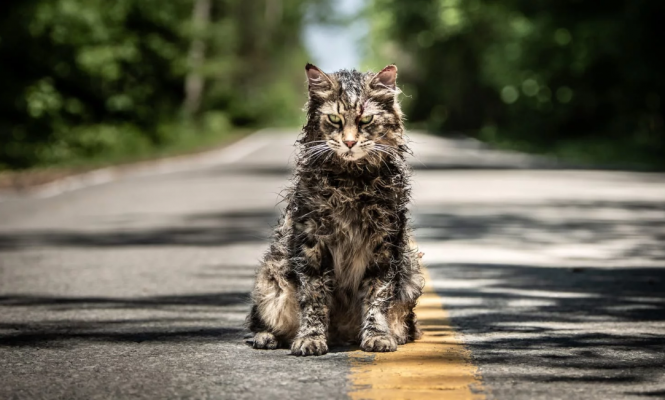 While it has an impressive cast including Sigourney Weaver, Winona Ryder, Ron Perlman, Brad Dourif, and Michael Wincott, it’s completely insane compared to its predecessors. 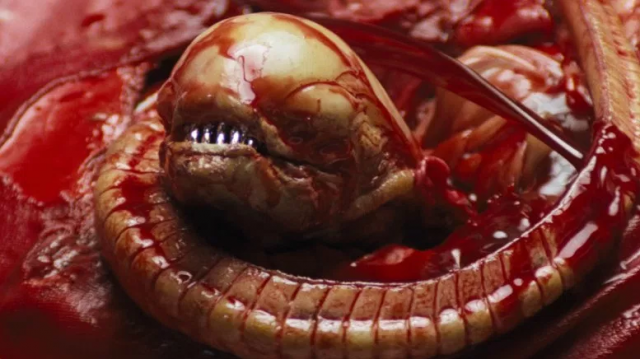 The protagonist from the first three films, Ellen Ripley (Weaver), is cloned along with the Xenomorph Queen inside of her from blood samples on Fiorina 161 (the prison from Alien 3). Resurrection‘s Ripley is much different from prior installments as she displays a cool confidence towards the other human characters. She also has some superhuman abilities and acidic blood. As usual, a government agency, this time the United States military, wants to raise and keep aliens for study. A group of mercenaries also arrive on the ship bringing humans to sacrifice to breed more aliens. 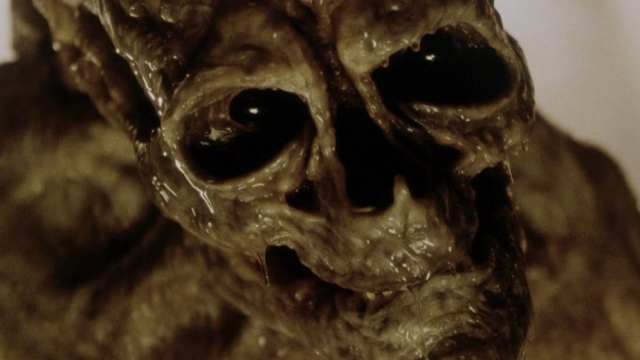 Essentially, Alien: Resurrection is the equivalent of Leprechaun 4: In Space. However, where Leprechaun 4 was a horrible B-movie, Resurrection is actually a good one. There’s a lot of goofy acting, ridiculous scenes, and over-the-top gore. Many of the graphic scenes are actually kind of uncomfortable to watch. The thing that really brings the film down though is the ending. The Alien Queen gives birth to a “newborn” which has human traits and believes Ripley is its mother. Needless to say, it’s absolutely grotesque looking and not in a good way. It’s one of the dumbest looking creatures in horror. Again, this movie is decent for a B-movie but it’s a bad normal movie despite some of its good qualities. Like the previous entry on this list, this one may surprise some people. In all honesty, there really isn’t much separating these bottom three films. None of them are very good. There are just a few minor things that cause them to be ranked as such. In the case of Alien Vs. Predator, it’s the battle between the two movie monsters that sets this one above the previous two. For those who may not know, Alien Vs. Predator originated from a 1989 comic book published by Dark Horse Comics. It has continued to this day and launched a crossover franchise. Additional comics, novels, video games, and action figures have all stemmed from the original comic. Of course, it also launched the two AVP films as well. A team of archaeologists is assembled by Charles Bishop Weyland, played by the returning Lance Henriksen. Henriksen was previously cast as the android, Bishop, in Aliens and had a brief cameo as the android as well as his human counterpart in Alien 3. Weyland discovers a pyramid buried beneath 2,000 feet of ice in Antarctica and hopes to claim the discovery for himself. The team enters the pyramid and soon learn of its secrets as alien eggs begin to hatch and the Predators begin their hunt with the archaeologists caught in the middle. To be frank, the film is actually really boring until about an hour in. That’s when the action begins and there are some pretty cool fight scenes which definitely bump AVP up on this list. Somehow Paul W.S. Anderson, of the Resident Evil film franchise’s “fame,” ended up in the director’s chair for AVP. Overall, the film looks nice and both sets of creatures look faithful to their source material. Like with Requiem, though, the characters are just bland. The protagonist, Alexa Woods (Sanaa Lathan) isn’t the worst but seeing her take on Predator as her sidekick is just cringeworthy. That’s right. Predator is basically Robin to Alexa’s Batman. Yeesh. Alien 3 is a tough one to place. On paper, the film has a very interesting premise. Ripley awakens after crashing on Fiorina “Fury” 161, an all-male prison and foundry. The other surviving characters from Aliens die as a result of the crash but, unfortunately for Ripley and the inmates off Fury 161, a facehugger stowed away in Ripley’s escape pod. In turn, Ripley and the ruthless inmates who target her early on must fight the alien to ensure their survival. 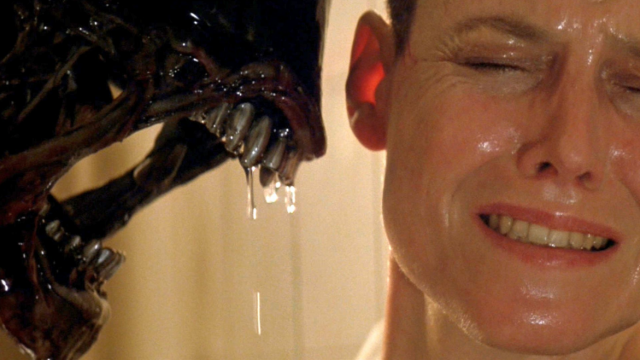 Oddly enough, Alien 3 was David Fincher’s directorial debut. Fincher, of course, has been responsible for films like Fight Club, The Social Network, and Gone Girl since his work on this film. Actually, Fincher has cited studio interference as a huge problem during filming and has publicly disowned it since. In 2003, the Assembly Cut of the film was released to which fans have given a warmer response. As for the theatrical cut, it’s not as bad as many believe it to be despite some poor CGI effects. Like AVP, it’s a bit boring at times but there’s some good acting from Sigourney Weaver, Charles S. Dutton, and Charles Dance. Due to Fury 161 being a prison, there aren’t any weapons which brings about a whole new problem for the characters. Aliens was an all-out war with nearly every scene resulting in a firefight. Alien 3 is more cerebral and, had Fincher been given more freedom, this could be an underrated classic. To be talking about Prometheus at this point in the list seems especially strange. Then, you start to scroll back up and look what it beat out to claim the #3 position and it makes more sense. This movie had massive amounts of hype surrounding it before its 2012 release. It was Ridley Scott’s return to the Alien franchise and a quasi-prequel merely set “in the same universe.” The cast was looking excellent with names like Michael Fassbender, Charlize Theron, Noomi Rapace, and Idris Elba on board. Prometheus also had a killer viral marketing campaign. So, what went wrong to make this film flame out the way that it did? In 2089, archaeologists Elizabeth Shaw (Rapace) and Charlie Holloway (Logan Marshall-Green) discover a map that leads them to a moon that was the home of “the Engineers,” the forefathers of humans. The elderly Peter Weyland (Guy Pearce) funds an expedition to the moon on the spaceship, Prometheus. The crew arrives and discovers a structure that may have once housed the Engineers. From here, things begin to go haywire for the members of the expedition. There are two huge problems with Prometheus. The first is that it seems like Ridley Scott tried so hard to not make it Alien. Yet, there are foreign creatures that have similar qualities as facehuggers, chestbursters, and full size Xenomorphs. It makes no sense that he wouldn’t just include the monsters that he made famous in the first place. The other problem is with the plot. It’s an interesting story and there are so many questions that build up over the course of the film. Though, you never receive answers to any of the questions. It’s an existential crisis of a movie with absolutely no payoff. It makes you feel like you only wasted your time on it. On a positive note, Prometheus is a beautiful film to look at and, again, its cast is very good. It’s an entertaining watch at times but don’t expect any return on your investment. The top two spots are seriously a tossup. Neither is perfect but each offer up a lot of good. Ridley Scott’s 1979 film comes in at #2 on this list for one reason. As with many of Scott’s films, some of it is just plain boring. The crew of the space-tug, Nostromo, is pulled out of hypersleep after receiving a transmission from a nearby ship. After the crew wakes, they go to investigate the ship and discover a warning as opposed to a signal for help. Soon, one of the crew members, Kane (John Hurt) discovers a bunch of eggs and a facehugger attaches itself to him. They bring Kane back aboard the Nostromo to try and save him but, as we all know, the alien has another plan. After escaping from Kane in classic fashion, the Xenomorph preys on the crew one by one. This film easily has the most memorable cast of any film in the series. Of course, Sigourney Weaver makes her franchise debut as Ripley. Tom Skerritt, Ian Holm, Harry Dean Stanton, Veronica Cartwright, and Yaphet Kotto round out the rest of the main cast. The special effects in Alien are legendary. The creature itself, designed by H.R. Giger, is amazing to look at with its intricate detail, two mouths, and swooping tail. It just looks like a monster hellbent on destruction. The film is excellent at building suspense and it legitimately feels like the creature could be anywhere at any time. It has the best moments of the entire series and there’s no question about its status as a sci-fi/horror classic. It falls on this list only because of some downtime issues and a slightly lackluster climax. While the original felt like a horror film, James Cameron’s Aliens is an action film. The crew from the Nostromo was limited in its fight against the alien but they’re anything but limited in this sequel. Aliens is essentially a war between humans and the Xenomorphs. Ripley is rescued after remaining in stasis for 57 years following the events of the first film. She’s questioned by Carter Burke (Paul Reiser) of the Weyland-Yutani Corporation about the destruction of the Nostromo. Of course, no one believes that a foreign creature was the cause of the loss of Ripley’s crew. She’s told that the moon, LV-426, where she claims her crew found the alien eggs has been colonized. 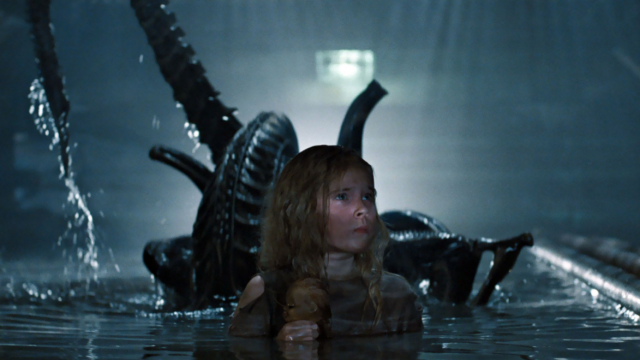 Ripley, Burke, and a team of marines then go to LV-426 to find it completely devoid of human life save for a young girl named Newt (Carrie Henn). This time, there are countless aliens to blame and an Alien Queen that must be destroyed. Like the first film, the cast is quite good again here with Michael Biehn, Bill Paxton, and Lance Henriksen at the forefront. The motherly relationship that Ripley has with Newt is endearing and gives the character some depth. The special effects are also on point once again. Although, there are some iffy CGI scenes but, for 1986, it’s passable. For all of the dull moments in the first movie, there’s almost too much action in this one. The marines gun down so many aliens that it’s almost ridiculous. The aliens are as ruthless as ever and the humans never have time to really regroup. Aliens does everything a good sequel should do. It enhances the story of the first movie, continues to develop its characters, or singular character in Ripley’s case, and it bulks up the threat level. The original only featured one alien while the sequel has a ton. The other cast members may not be as memorable as the crew of the Nostromo but they’re close. Newt was a good addition as well adding motivation for the characters to save and protect her. The only part that falls flat in Aliens is, once again, the climax. Ripley fighting the Queen in a giant mechanical suit just looks dopey. On top of that, the absence of music during their battle feels strange. Either way, Aliens is an excellent sequel and just barely nudges out the 1979 film on this list. For the most part, the Alien franchise is pretty uneven overall. That being said, none of the films are unwatchable like Leprechaun in the Hood or Jason Goes to Hell. AVP: Requiem doesn’t really have any redeeming factors but it’s not the worst movie ever made. The middle of the pack also is a bit muddy with Alien 3 and Prometheus being maddeningly average in quality. The two films that people should see, hands down, are Alien and Aliens. Will Alien: Covenant be another lackluster film in the franchise or will it become the gold standard? 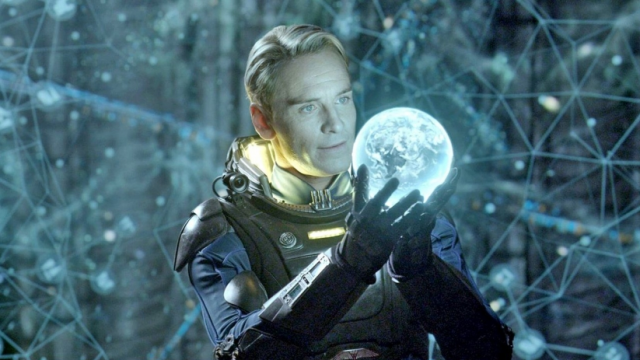 Originally, Ridley Scott planned on doing numerous sequels to Prometheus before meeting up with the 1979 film. That didn’t go to plan as fans have clamored for the return of the Xenomorph. Thankfully, Scott has obliged and Covenant is less than a week away from release. 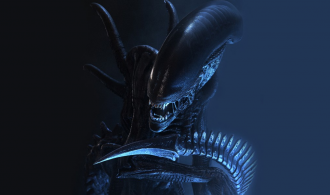 Up until now, we have yet to see the perfect Alien movie and, for such an iconic movie monster, this could finally be the time.